You get the lead of the ♦K, which you win in dummy. Now what? Do you think you can make him pay for being a nuisance with his 2NT bid? What is your plan for making this contract? What is your plan for bringing this contract home? How will you come to 12 tricks on this deal? Your double of East’s 1NT opener was for business, not conventional. What is your plan to getting to 10 tricks? West leads the ♥Q against your game contract. You are South playing in a pairs game. 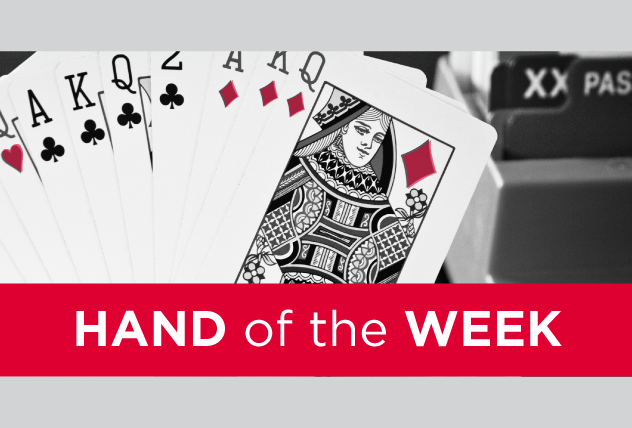 How will you take 10 tricks in spades after West leads the ♦J? How will you make it after West leads the ♥K.